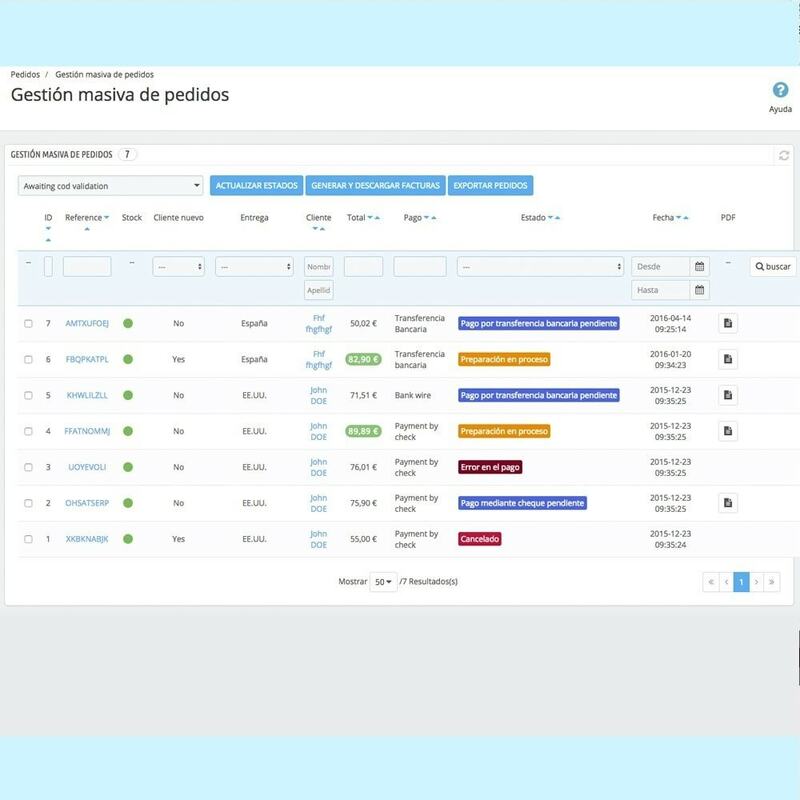 It allows you to perform general actions for several orders at once, edit states, download invoices, export the data to a csv or view the contents of the orders. 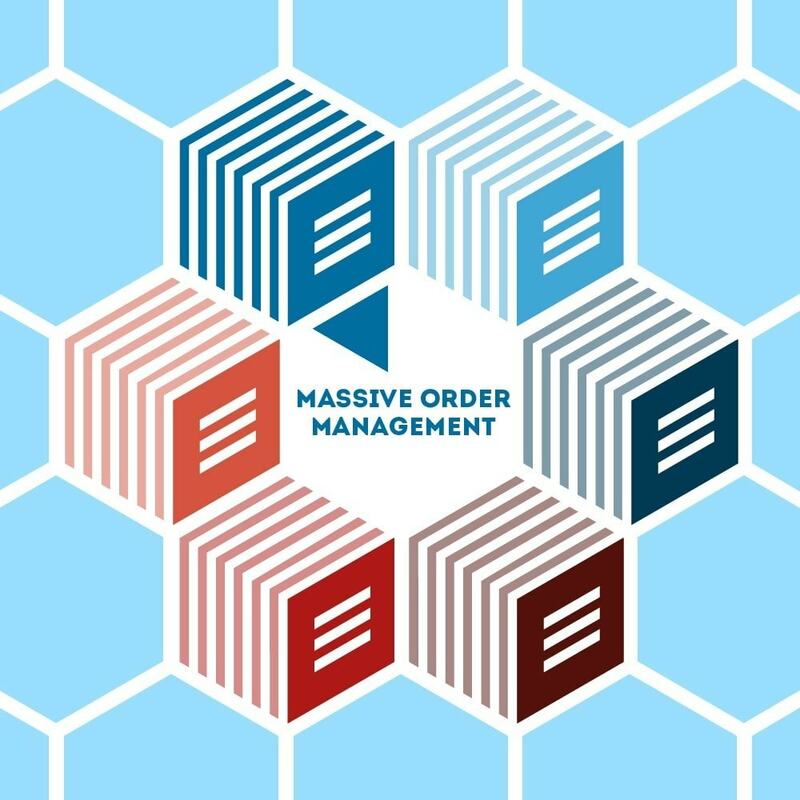 One of the most comprehensive to manage bulk orders modules. 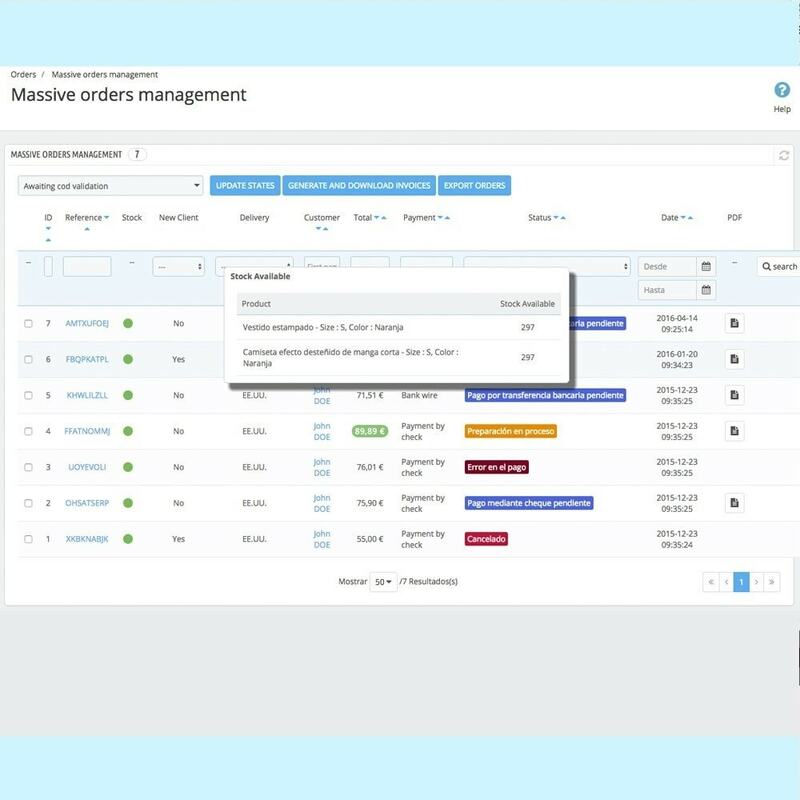 Edit statements of one or more orders at once. State Change Request: Change one or more orders both quickly and with a single click. 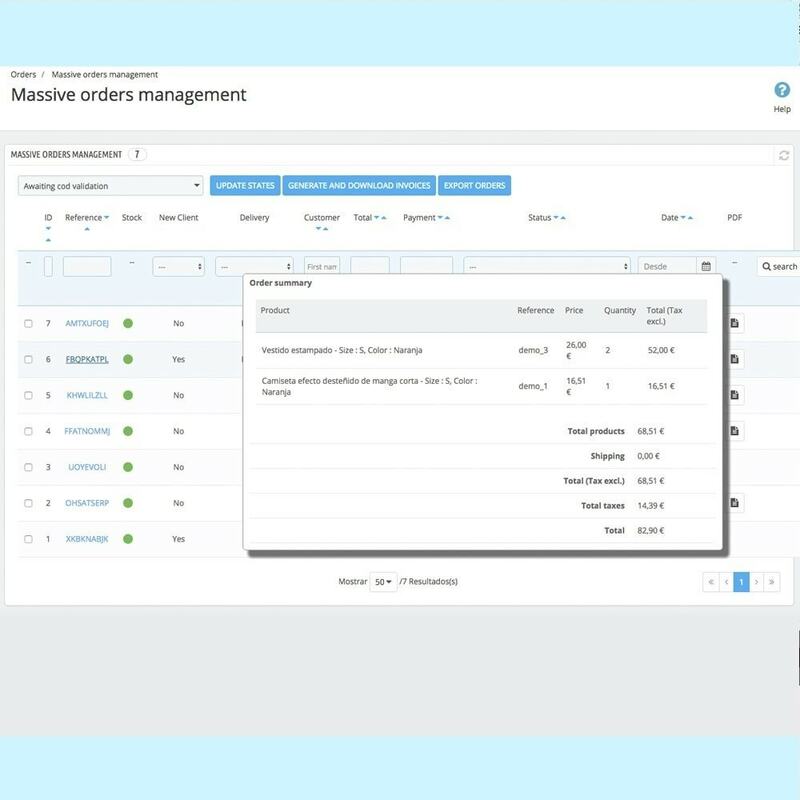 Generate massive bills: You can select those orders in which you want to generate an invoice. Mass printing of invoice: Select the orders you want to print and download a single file with all bills printed. Filtering orders: Filter orders by date, status, method of payment, delivery, customer type, reference, id. Order fast display: Quick view content orders without entering inside. 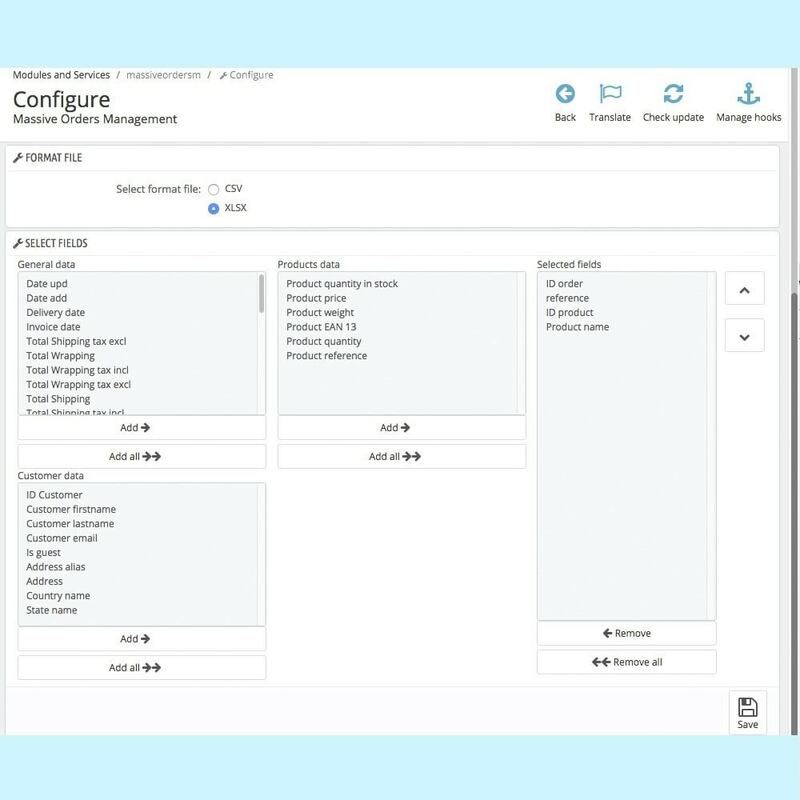 Fast customer display: Quick view of the customer data without going into detail. Fast purchase display: Quick view of the stock of products containing the order. Sold out indicator products: You can display whether a product is sold out without entering the order. Export orders: To export in CSV or XLS. 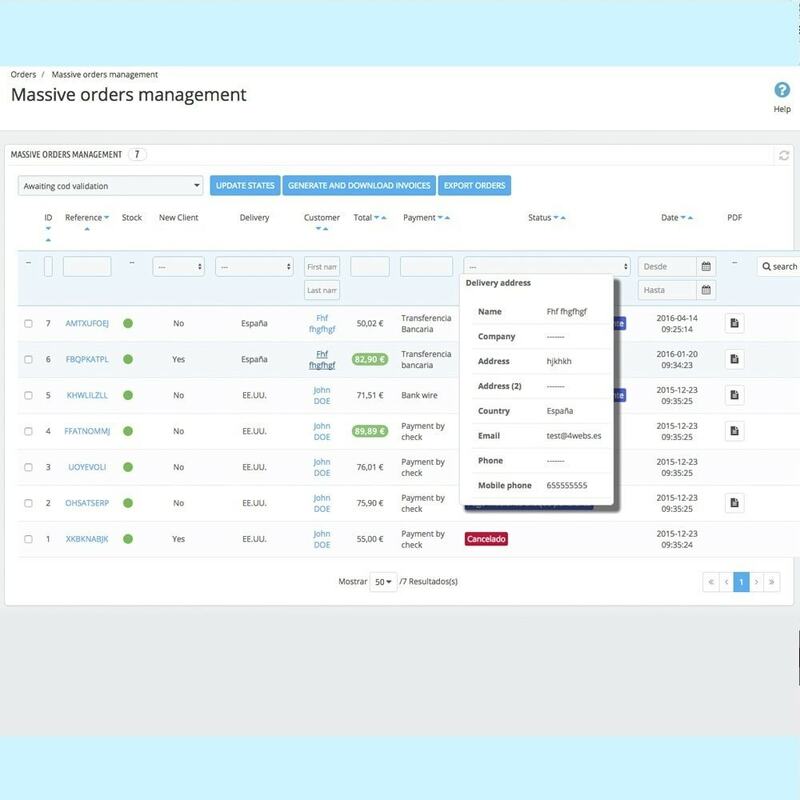 Automated task to automatically export orders in folder or email , ideal for connect ERP or software.